IR freshman Gabe Mouynivong goes up for the opening jump ball during the Indians’ game against Cape Henlopen on Thursday, Jan. 24. IR won the game 19-14 for the program’s first win in just their second game. The junior guard connected on four shots and converted 2-of-3 attempts from the foul line for her 10 markers. Senior Julia Jordan added nine points, while sophomore Micayla Meehan chipped in with eight. IR actually trailed 7-6 after one quarter of play and 15-13 at the halftime break. However, the second half was a whole other story for the Indians, as they put the clamps down defensively and out-scored their guests 25-6 over the final 16 minutes, to pick up the win. Le’Anya Garrison scored six points for IR with Lauren Meehan (three) and Savannah O’Shields (two) also figuring in on the offensive efforts. The Indians made 10 of their 18 shots at the charity stripe in the game. On Thursday, Jan. 24, the Indians hosted Cape Henlopen — one of the top teams in Division I this season. Despite a valiant effort, IR fell to the Vikings, 49-14. Micayla Meehan led IR with six points, while Garrison and Jordan each contributed three. IR struggled out of the gates, finding themselves down 15-0 after the first quarter and 29-8 at the half. It proved to be too much for them to overcome. “That is a very well-coached, very disciplined basketball team, with a lot of basketball sense,” Weisengoff said after the game. “I’m really proud of our kids. I thought we did a lot of good stuff, but we just couldn’t finish, couldn’t make shots. Making shots is how you win games, and it’s hard to win when you don’t score. The 1-1 week for the Indians leaves them with a 7-10 record with just three games remaining on the season. They will travel to Delmar for a 4:30 p.m. afternoon tilt on Friday, Feb. 1. IR defeated Delmar back on Dec. 13, by a score of 26-16. 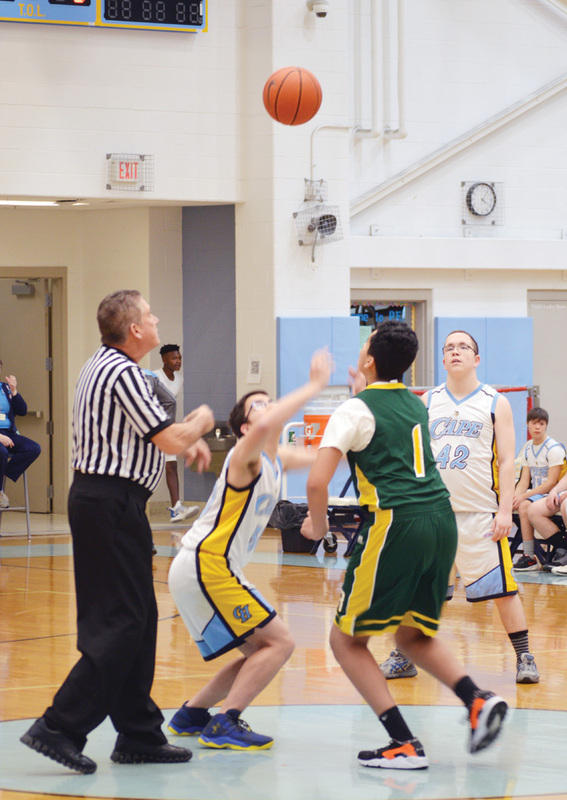 It didn’t take long for the Indian River Unified basketball program to get a taste of victory. In just its second game of the young program’s history, the Indians picked up a 19-14 win over host Cape Henlopen on Thursday, Jan. 24. And just from Game 1 to Game 2, there was considerable progress made for the team. Gabriel Mouynivong led the Indians with five points, including a big three-point shot in the first half. The Indians accepted their second win following a forfeit from Seaford on Tuesday, Jan. 29. IR was set to host Cape again on Thursday, Jan. 31, after Coastal Point press time. Results from that game will be found on the Coastal Point sports Facebook and Twitter pages. The IR boys’ basketball team was trying this week to find a way to erase the bad taste of their previous two losses, and a road contest at Seaford proved to be just the remedy to their ills. The Indians were glad to get the win following their loss last Thursday, Jan. 24, to Cape Henlopen, 81-46. In that game, injuries and discipline issues left IR shorthanded, and hot shooting by the Vikings in the first half was a recipe for disaster. The Vikings stormed out to a 47-18 lead after the first half of play, before adding another 24 markers in the third to cement the victory. Jamier Felton came off the bench to score 11 points for IR, while Michael Meehan and Antonio Jones also chipped in double-figure efforts with 10 each. The Indians find their 2018-2019 campaign winding down as their record sits at 6-11. With so much promise coming into the season, the best IR can hope for down the stretch is some pride of performance in their final three games. They were set to host Delmar on Thursday, Jan. 31, after Coastal Point press time. Results will be found on the Coastal Point sports Facebook and Twitter pages. Back on Dec. 13, the Indians lost to Delmar, 60-51.